I got some good new and bad news. The bad news it, it looks like Fort Rock is not returning this year. I wish I had answers as to why but I sadly I do not. The Good News is INKCARCERATION IS! We got a pretty solid line up here. We got out headliners like ShineDown, Godsmack & Five Finger Death Punch but, we also have acts like LIVE, Taking Back Sunday, Seether & Skillet. Great to see that LIVE is making a comeback and i’m surprised with some of the bands they got. P.O.D, Stabbing WestWard, Smile Empty Sole, & From Ashes to New. I haven’t heard much from these bands in a while. I’m glad they’re still going and still getting noticed. I hate to see all that talent not get recognized. Bands however are only half of the equation for this festival. Here are the tattoo artists. I don’t know much about the tattoo seen but that is MASSIVE. Plus just like last year. 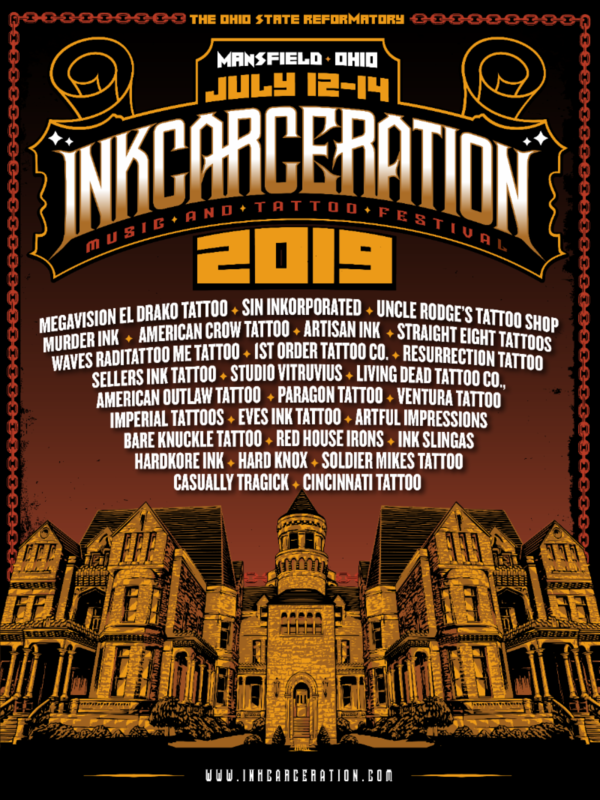 They also got Food Trucks & Beverages, Tent & RV camping, a haunted house attraction, and just like last year This festival will be held in the Historic Ohio State Reformatory. 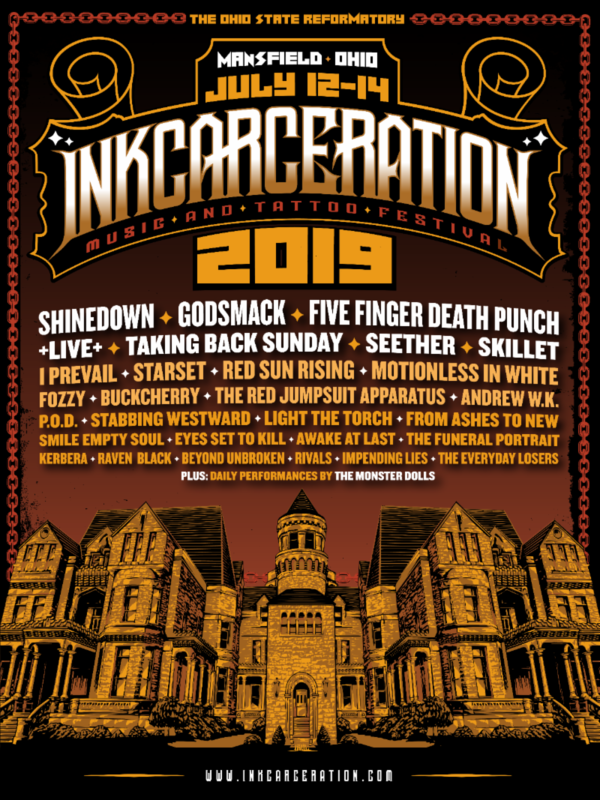 You can get tickets at this link https://inkcarceration.frontgatetickets.com and until next time Nation…STAY LOUD! This entry was posted in Updates on February 5, 2019 by Justin S..